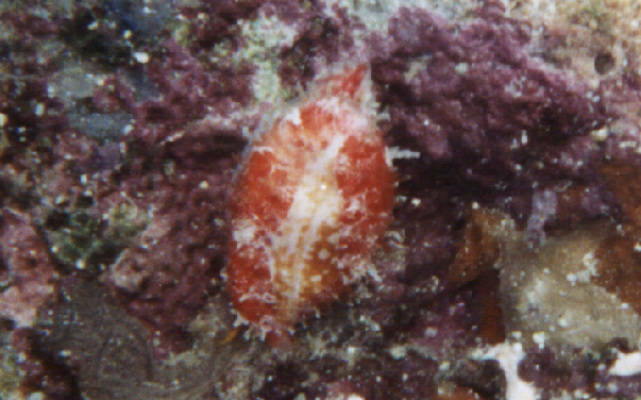 Cypraea chinensis From Bunaken Isl. 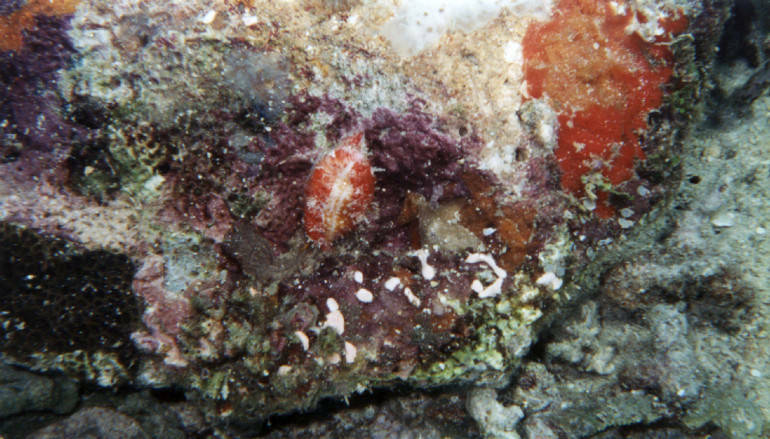 Manado North Sulawesi 23 May 98 Going down from turned dead coral, with opened mantle. Close up view.